Most of you guys know about the Google Now Launcher because in most of the smartphones that don’t have any custom skin from the company, have this launcher pre-installed. After launching the Pixel devices, Google launched the Pixel launcher also which resulted in two launchers from the company in the Play Store. 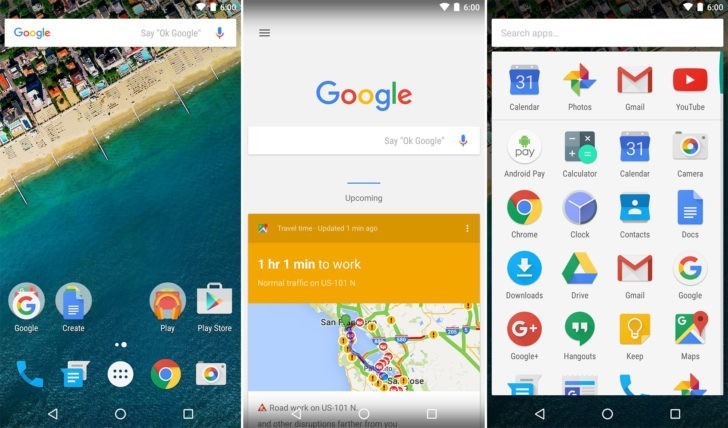 We have got a new news that claims that Google will now be focusing on just one launcher and ditch the other one. The one that is going to be ditched is the GNL or Google Now Launcher. Android Police revealed this whole thing, and an email sent to them by a tipster. 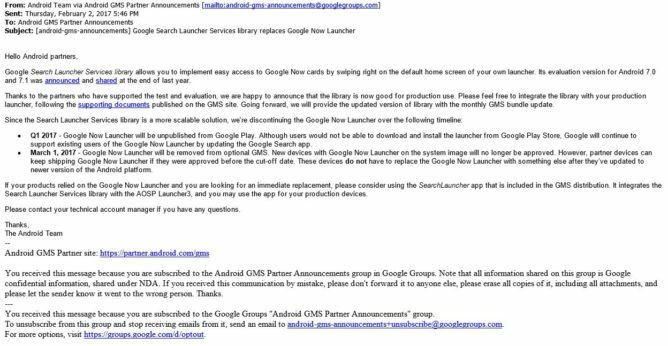 According to him, the company has already started alerting the GMS Partners about its plan to ditch the Google Now Launcher. The Search Launcher Services Library has now been made available to all the OEMs, and so, the OEMs can use the Google Now Panel to their custom launchers with ease. If you own a Nexus device or even a Motorola device, you probably know that your device came with the GNL pre-installed. But, now as Google is going to stop all the updates for it soon, chances are that Motorola has to seek for an alternative Google has said that the companies that primarily use GNL can use the Launcher3 from AOSP and just add the Google’s Search services or Make a custom launcher for their smartphones. After March 1st, the devices having the Google Now Launcher pre-installed won’t be approved. But, if you have a phone right now with the GNL, no need to worry as we all know that it is updated through the Google app so technically, it will stay updated even if Google ditches it. The only thing you will notice is that the GNL won’t contain any noticeable improvements further on from March 1st. Do you use the GNL? Which is the launcher you think can replace the GNL on your phone? Do let us know via the comments section.